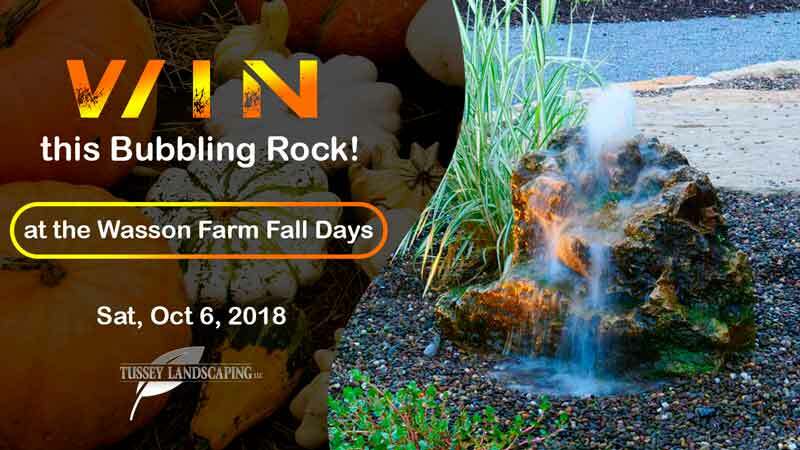 We are giving away one Bubbling Rock at the event. You'll be able to enter your name, and at the end of the day we'll draw a winner and come right over to your house to install it. ...Ok kidding, but we'll contact you so that we can schedule the install of your new Bubbling Rock in the perfect spot.